In the meeting of Antrang Sabha on 26th February 1957, Shri Dharmendra Nath ji, proposed to establish a school for Arya Boys so that they would also develop the feelings of being Arya. But this proposal could not be finalized during that time. nching support of the Arya Samaj Education Board and the community, gradually, the number of students increased. Today, it has a strength of 400 students. Text books and stationery are provided free of cost to students by the Board. 21 teachers and 10 non–teaching staff members are serving this institution. Ever since its establishment, the school has been offering E.A.C.E, K.C.E. and then K.C.S.E. courses. In January 1994 it started the London G.C.E ‘O’ level. In September 2003 it started the I.G.C.S.E course. Currently it has all 3 courses namely K.C.S.E., G.C.E. and I.G.C.S.E. going on in line with educational trends in the world. The students prefer G.C.E. curriculum to K.C.S.E. 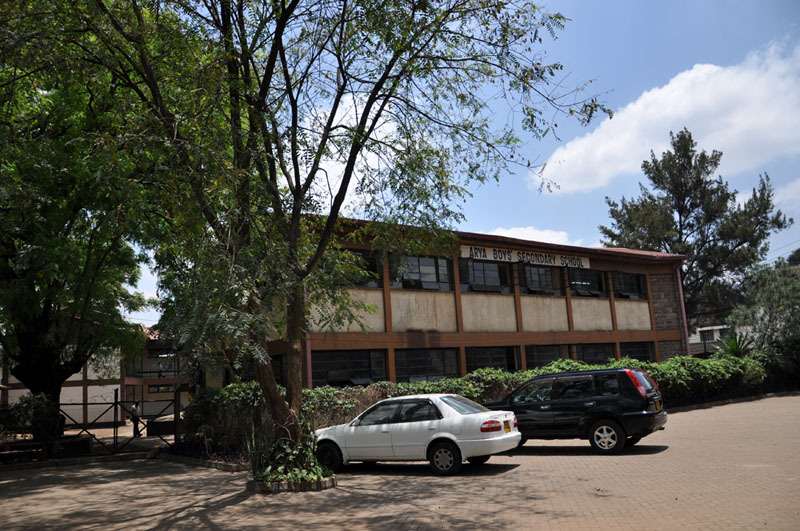 it is one of the best schools in Kenya. In this school, due emphasis is given to curricular and sports activities. The headmaster Mr. Vinnay Kumar Sabharwal, with his team, laid a strong foundation for the present good standards of the school, with Prof. S.M. Uppal and other managers having provided highly inspirational guidance. The cricket team of this school were champions for 3 consecutive years at Kenya National Secondary Schools Cricket Association. For an all–round development of the students there are various clubs namely, Environment, Wildlife, Debate, Drama and Science Club. The school does remarkably well at National Science congress competitons every year. The school actively participates in the provincial and National festivals and Interschool competitions like the Annual National music festival, National Drama and dance festival, National Ball games and athletics, inter-school sports, essay, oratorical and debating contests and wins top positions. It also arranges seminars for the upgrading of the teachers’ knowledge. The school publishes “The Aryan Lamp” magazine. It has a good library. The students go on tours and they are encouraged to do social service also. This year students donated clothes, food, money and other requirements to “Dagoretti Childrens Home”. The mission of Arya Boys’ Secondary School is to educate students from all over Kenya and from abroad regardless of their race, religion, nationality, so that they become enlightened individuals, improving the living standards of their families and the society. The school provides individual attention, quality education and takes care of character building.